Foreign executives who come to live in Dublin and seek more salubrious apartment accommodation are often surprised to find that, uniquely among world capitals, there are almost no Manhattan-style lofts to be had. 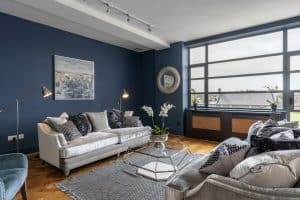 The style is termed after the swanky industrial conversions on Manhattan island which came about in the 1930s and 1940s when artists began occupying New York’s disused factory spaces. Some of Manhattan’s loft apartments change hands for €50m today. Perhaps the most famous of them all was Andy Warhol’s first Factory in a loft at 231 East 47th Street, which he rented in 1962 for a hundred dollars a year and wallpapered in tinfoil. Since the trend began in Manhattan, almost every modern capital that saw central industrial spaces winding down, experienced many of them renewed again with vigour as residences of difference. 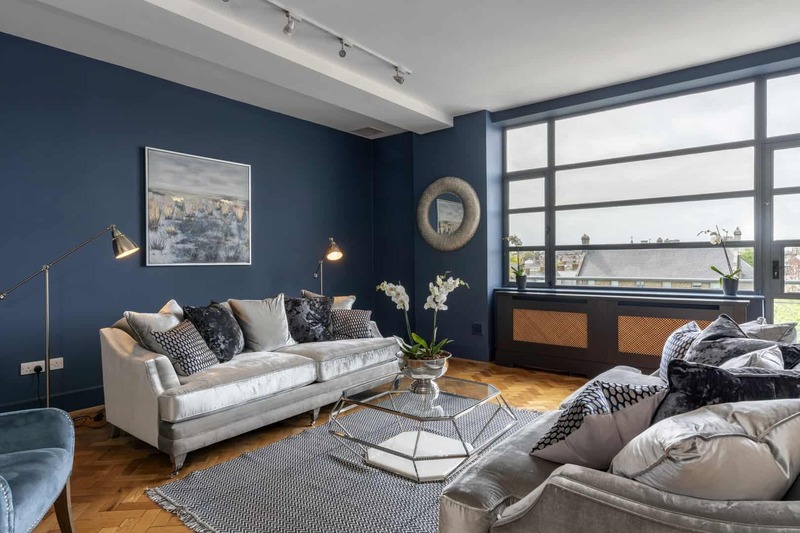 The city warehouse apartment is typically characterised by its central location, wide open-plan layouts, robust industrial style flooring and windows and very high ceilings. Unfortunately the preference of Irish developers has long been to knock old industrial buildings down and build anew. Almost alone among the bland new apartment blocks is The Warehouse at Clanbrassil Terrace, in Blackpitts, Dublin 8 which was, until 1999, the Crowe and Wilson clothing factory. This factory must have been substantial in its day. A 1960 newspaper advert proclaiming the sale of O’Beirne’s Pub at 1 Usher’s Quay cited among the business’s commercial selling points the presence of the Crowe and Wilson plant (presumably a rich source of patrons) and this despite the factory being almost a kilometre away. 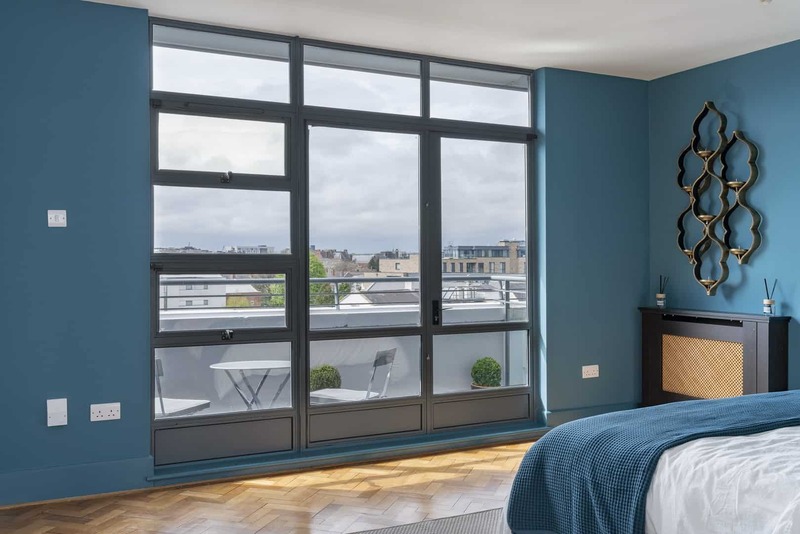 The 1940s building was redeveloped in 1999 by developer Michael Roden who recognised the character of the flat roofed, red-bricked four storey block and engaged architect Mary Donohue to remodel it into a Manhattan project with a difference. Next year marks the 20th anniversary of its rebirth. Among the most enthusiastic occupiers in the Warehouse’s 19 years have been childhood sweethearts Robbie and Karen Scanlan, today the owners of Tipperary Crystal. Back in 2000, as a young childless couple they bought Number 22, a one-bed on the first floor. Two years later in 2002, they heard that Roden might be selling Number 34, The Penthouse and got in touch with him. “He did the deal. And we were delighted,” says Robbie, who is MD at Tipperary Crystal. The couple lived there until 2005 when, with a second child on the way, they moved on to their current address in Portmarnock. “It was perfect for us at the time, a young couple who liked to enjoy life to the full,” says Robbie. When more children arrived the couple traded up to a family house in Portmarnock, but held on to Number 34 as an investment. 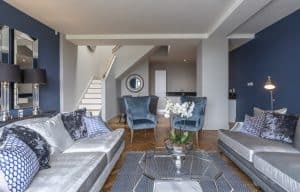 Recently with a view to selling it the couple brought in the interior designer, Suzanne Fanning of Cornerstone to completely redo the apartment for sale. She furnished it through Wow Interiors. And this week, as the Scanlans place their loft penthouse on the market, they’ve come back to the building and their former home. 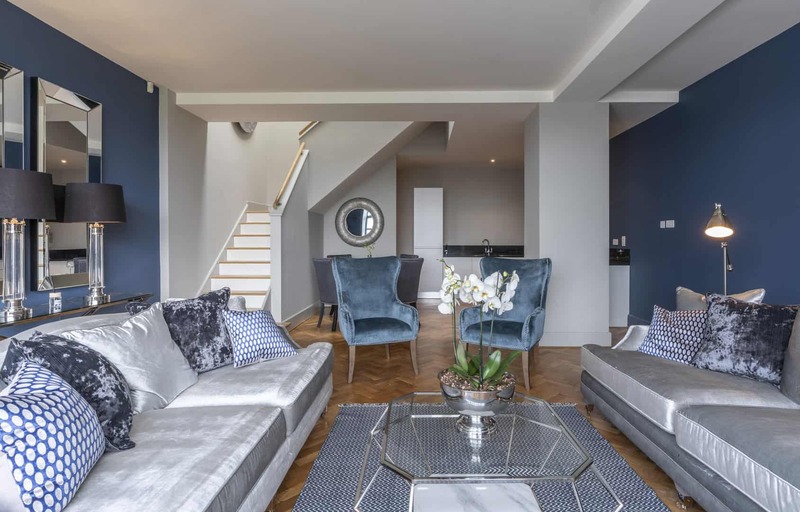 Their two-bedroom penthouse ranges over two floors and measures 2,000 sq ft, almost twice the size of an average three bedroom semi. The accommodation includes two south-west facing terraces and the development has a communal courtyard at its centre as well as a glass brick floored open core near the top. The couple are asking €850,000 through the Gallagher Quigley agency. 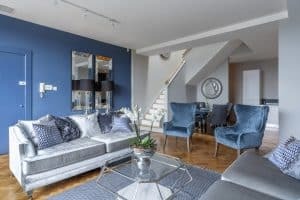 You are greeted by a very large sitting room with a large skylight and staircase to the lower floor. Off the sitting room is a built-in storage area, utility room and bathroom. 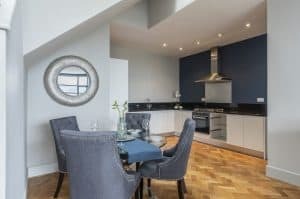 On the far side of the staircase is a double bedroom with wall to wall wardrobes and a south-west facing terrace with fantastic city views. 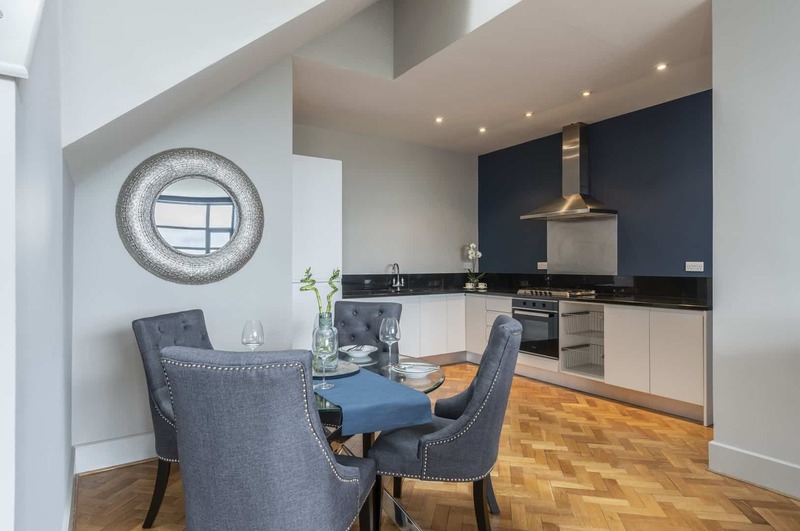 The lower floor has a large open living, dining and kitchen area also with a south-west facing terrace looking over the city. Off a lobby area in the kitchen is the main bedroom which has a large en-suite bathroom. A designated car parking space is included. They place it for sale in the same week that two other Warehouse units have gone sale agreed. Number 21, which is the home of fashion designer Jen O’Dwyer, spans 1,020 sq ft and comes with colourful Ivanka floor tiles, was offered for €450,000 by Sherry FitzGerald which also sale agreed Number 16 for €550,000, also 1,020 sq ft.